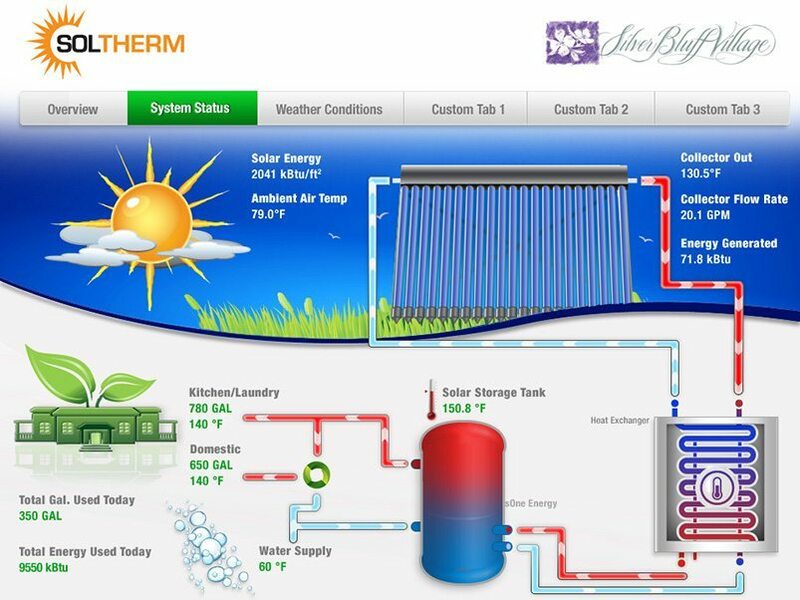 SolTherm® Energy designs, builds, and operates solar hot water systems that deliver guaranteed, long-term cost savings as well as reduced risk from energy price volatility. 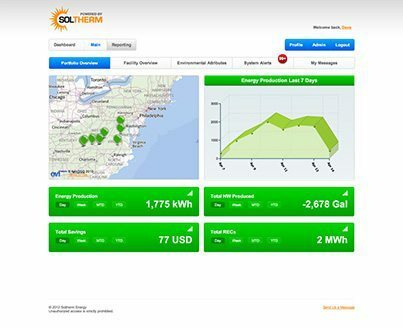 Epic Notion designed and developed an analytics solution for solar systems installed at healthcare facilities. 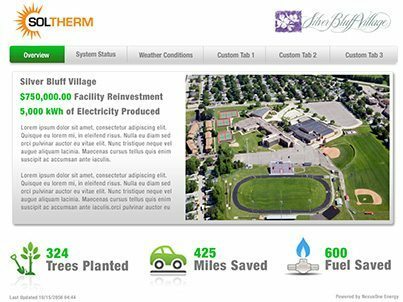 Data from the facilities is sent to our system from onsite sensors. 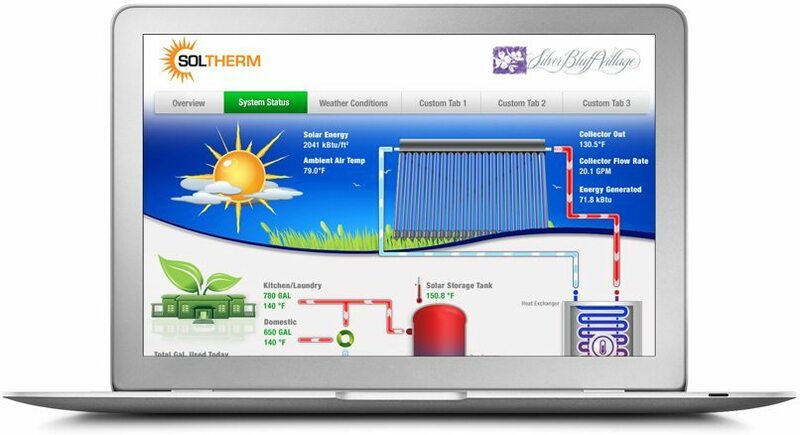 Users are able to login, create reports and study all data including energy and money saved. 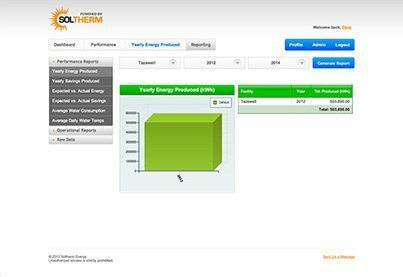 This data is fed to a real time animation that is displayed in the lobby of the facilities so people can see the impact of these solar hot water heaters.